Can service your Caravan, Pop Top, Camper Trailer. Whether it be a pre-holiday trip servicing or just the brakes & bearings. Have your caravan professionally and regularly serviced by Springvale Caravans and tour with confidence. Wheels, brakes and bearings are inspected, cleaned & re-packed. Springs and shackles checked for wear, outriggers, chassis rails, cross-members and A-frames checked for damage/fatigue. The Springvale Caravans undercarriage service not only expertly prepares your van for the next 10,000 kilometers but provides you with a report for future maintenance requirements. 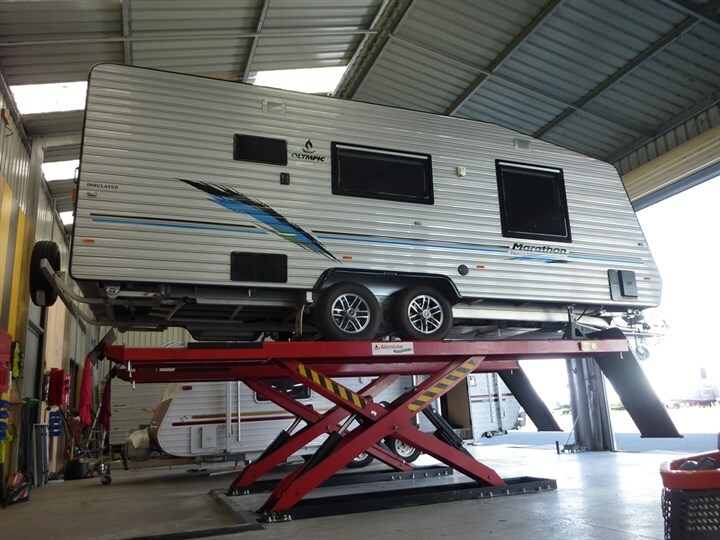 Springvale Caravans will provide improved braking performance. Springvale Caravans are experts on electric brakes.